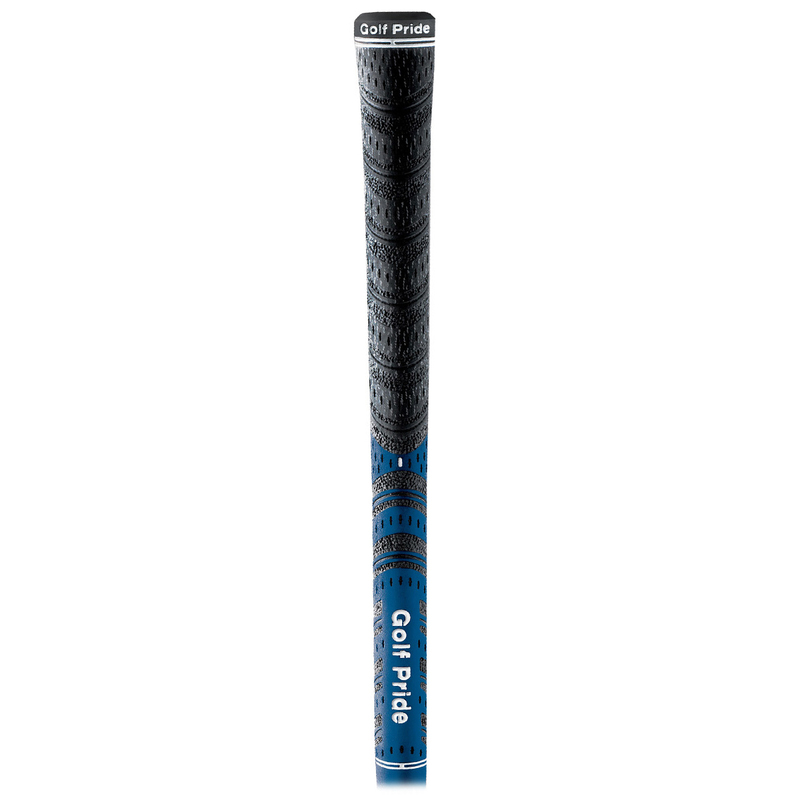 The Golf Pride Mid Size MultiCompound Grip is an innovative grip that fuses positive performance of rubber and cord for a look that’s more exciting on the golf course. Its exclusive black velvet cord in the upper hand area for firm all-weather control and a softer rubber material in the lower hand offer incredible control and responsiveness, while comfort in grip has never worked so completely as this. Innovative hybrid grip fuses the positive performance of rubber and cord for new look and feel. The Multicompound boasts Golf Pride's black velvet in upper right hand for firmer grip in adverse weather conditions. Soft rubber material in lower hand aids ultimate control and responsiveness.